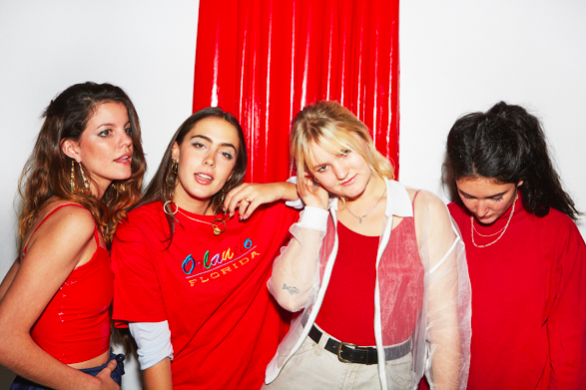 After releasing their highly anticipated sophomore album I Don’t Run in April, and ahead of appearing at this year’s Reading & Leeds Festival this weekend, HINDS today announce an Autumn 2018 UK and European tour. With 17 shows in the UK this will be the band’s longest and largest UK tour to-date, and it will include a special one day Hinds’ curated mini-festival at London’s 1,500 capactiy Hackney Arts Centre on Saturday 1st December. I Don’t Run was released on April 6 via Lucky Number and showcased a bigger, better, faster, funnier, more dexterous Hinds. Co-produced by Hinds and Gordon Raphael (The Strokes, Regina Spektor), and engineered by Shawn Everett (Alabama Shakes, The War On Drugs, John Legend), it is the product of a band fighting for their place, a band unwilling to rely upon their successes, a band who have just begun to prove themselves, and a band who plays hard but works even harder.